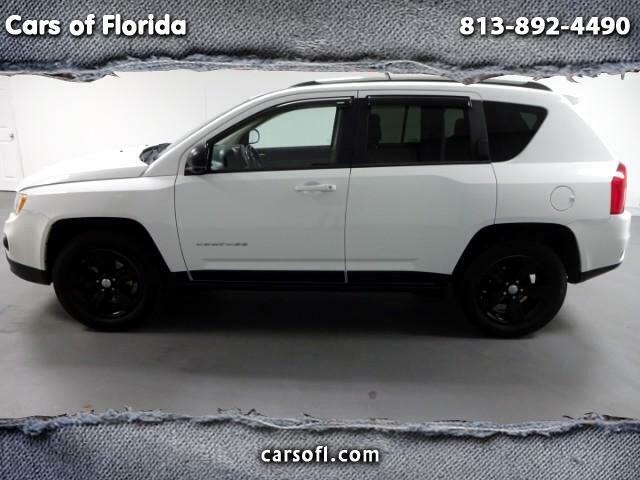 Cars of Florida is proud to announce this 2011 Jeep Compass Latitude. This vehicle is fully loaded with black sport wheel accents and a clean spotless tan cloth interior. Great Color combo for the Florida heat! Great fuel economy, four wheel drive capability! Immaculate condition inside and out. Great everyday driver with Ice Cold AC and Auxiliary input. Jeeps run forever! Incredible value. We finance prior repossession, bad credit, no credit, first time car buyers and offer a military discount. We accept all trade-ins running or not! Bring in your interest rate from a comparable dealer and we will beat it!